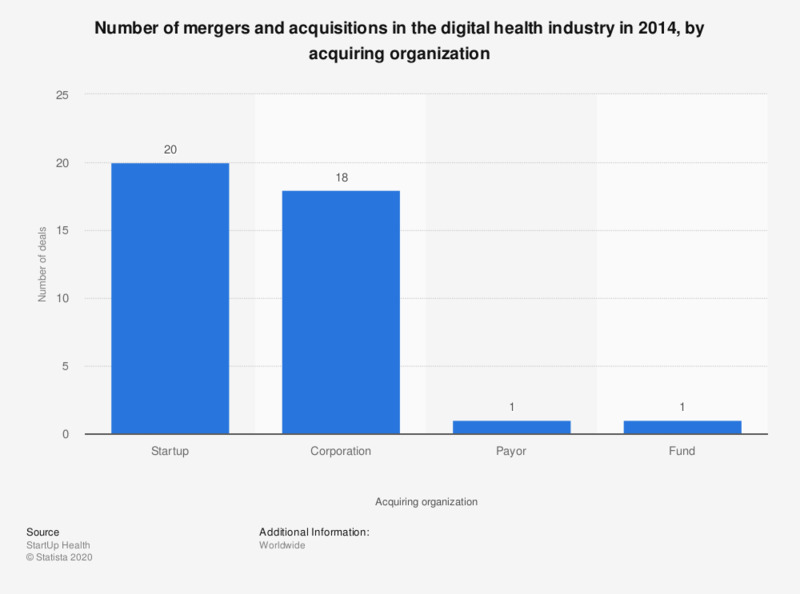 This statistic shows the distribution of mergers and acquisitions in the digital health industry in 2014, by acquiring organization. During this year, 18 M&As in the industry were acquired by a corporation. Google and Facebook were both among the notable acquirers. Do you use a connected health device or tool to manage your health? Do you agree or disagree with the following statement: "If a doctor, nurse, pharmacist or health insurance recommended that I use a connected health device or tool as part of my treatment plan I would use it"?